Ever since I got my Instax Mini 8 camera a year and a half ago, I've accumulated quite a number of polaroid pictures. One of my favourite things about this kind of photo is that they're slightly unpredictable. You can't really trial a shot when camera film is involved so you're never guaranteed a perfect turn out. I think it's nice the way the image doesn't always come out the way you expect it to. It makes it much more exciting. With my collection of little images, there's always plenty for me to put on display. I've found that there are quite a few fun and creative ways to showcase your photos so I decided that for an inspiration post, I would share some of these ideas with you today. Here they are! 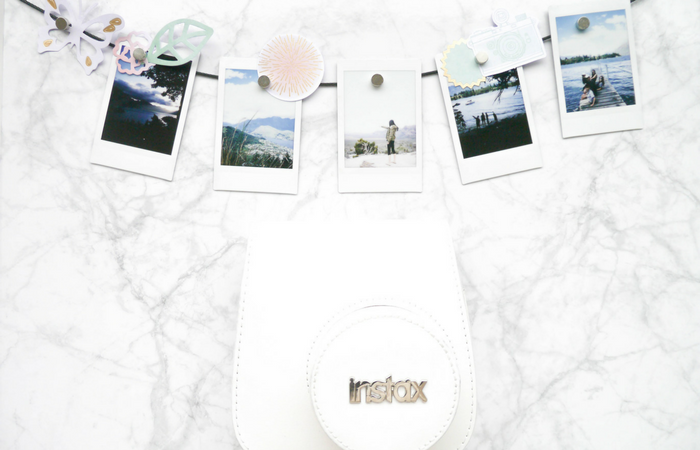 Use your polaroids to liven up any plain space you may have in your room. If you don't have any posters or wall stickers handy, polaroids are a great alternative. You could use them to form a shape or simply stick them up in rows. It's a simple and fast way to revamp any blank wall. If you have a ledge shelf in your room, you could use a long piece of cord and drape it along the edge. Then just use small magnets to attach your polaroids. A photo garland can be nicer than any store bought room decoration because its more personalised to a specific person. Fairy lights and scrapbook die cuts also make a nice addition to this polaroid display. All you need is a branch for the base of your mobile, some twine, some mini pegs and some beads or feathers to decorate. Then the design of your mobile is completely up to you. If you can't find a nice branch, a coat hanger works just as well. This display is easy to move/shift and is ideal for those who, like me, are constantly rearranging their room. Find some frames and then place a polaroid inside each one. To stylise this display, you could use washi tape to border your mini photo inside or make a pretty backdrop with watercolour paints. Place the frames on your desk or bedside table and keep your favourite memories close by. Thanks for reading this post! Let me know what you like taking photos of the most? I'm still pretty new to the ins and outs of blogging but I feel like I've definitely come some way since deciding to start a blog in mid 2016. Because I had absolutely no idea where to begin, I turned to the internet for some sense of direction. I went through heaps of youtube videos and existing blogs to learn pretty much everything I know now. I definitely underestimated the amount of time and effort involved in putting together your own blog site. A lot of the process relies on persistence. 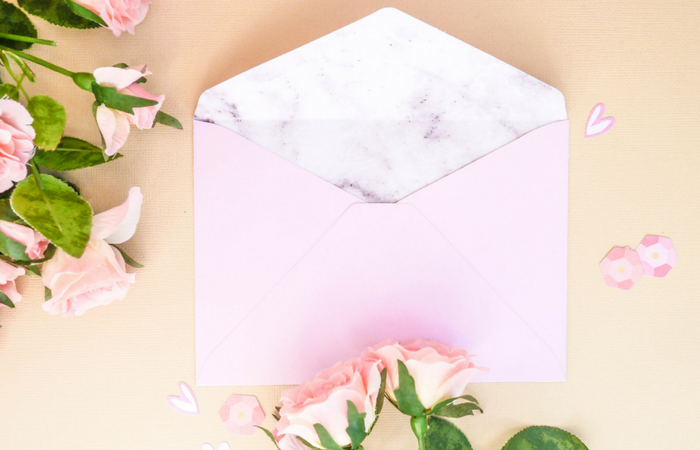 You can't expect to get things first time round and that's something I really struggled to come to terms with in the first couple months of blogging. Last year was definitely a lot of trial and error. Before The AnnieChanie Blog, I had started 3 other blogs, all of which I neglected in the first 2 months. I felt like the niche of these previous blogs didn't fit quite right with me and their names and webpages never really showcased my personal style or taste. After my 3rd unhappy attempt at blogging, I felt like I was trying really hard to keep the passion alive. All of that initial excitement and anticipation for starting my own web page had been replaced by a strong desire to have a great blog with great content that I could claim my own. Looking back, I think my problem was that I was more in love with the idea of blogging rather than the blogging itself and that's why my first couple of blogs didn't really feel that genuine to me. I knew The AnnieChanie Blog would be different from the moment I decided on its name. It felt like a true reflection of me and a broad enough title for what I wanted to write about - lifestyle. I'm still a newbie blogger and there's so much for me to learn but I can't say I haven't found out a lot already! For one, you can't give up too easily. 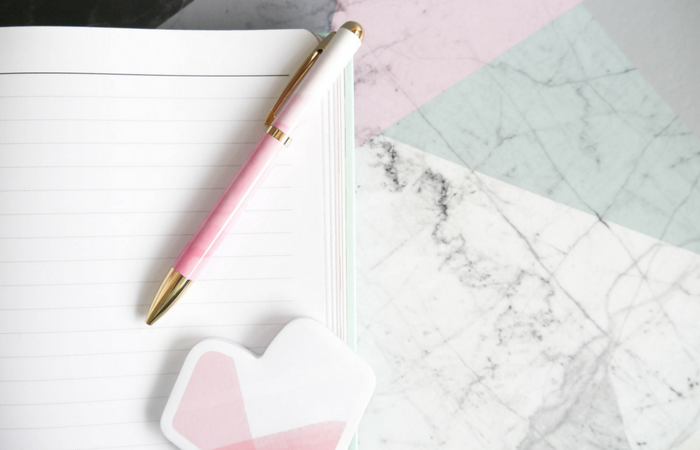 If you're really determined to start your own blog then there's no reason why you shouldn't. Keep trying and eventually everything will fall into place. Another thing is that you shouldn't be afraid to put yourself and your content out there. Making myself known to other bloggers is something I've only recently started doing. Create a bloglovin' account, promote your posts on twitter and get your images all over Pinterest. 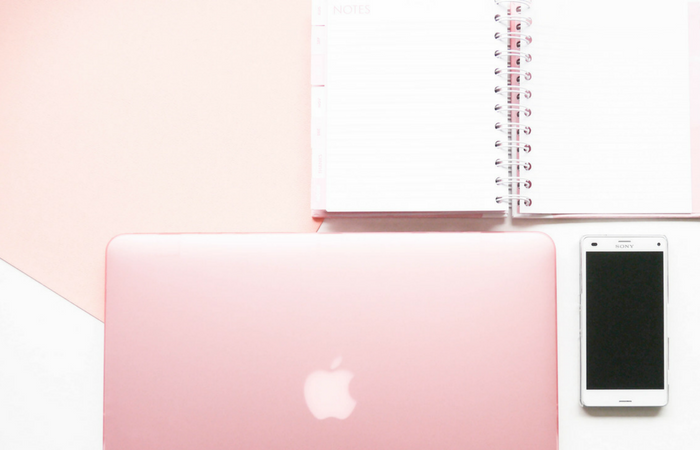 What I've found is that when your using social media to connect with other bloggers, you're on your way to feeling like you're truly a part of the blogging community. This has been my experience with blogging so far, what has your blog journey been like? What's one thing you've learnt from blogging? For me, there's no better feeling than the one I get after doing something nice for someone else. It's amazing the way an unexpected act of kindness can instantly brighten a person's day. Here are 20 ways you can bring a smile to someone's face. Whether it's a stranger or loved one, your actions have the power to really work wonders on someone. Today's post is all about keeping up to date with school assignments outside of the classroom. Because of the subjects I take at school, I get little to no homework throughout the year and then an overwhelming amount at the end. While its not always possible to avoid homework stress, here are a few different ways you can make handling the workload a bit easier. Especially if you're like me and get all your assignments at once! It's always good to keep a study planner with you so that the moment you receive homework, you can record it down straight away. When you know the deadlines for each of your assignments, it will help you to complete the work accordingly. People tend to gravitate towards the task they are most looking forward to doing however it's better to refer to due dates when deciding what assignment to work on first. Ordering your assignments by their deadline is the most effective way to get all your homework handed in on time and having a study planner will make sure you're prioritising the right task over another. Time management is essential when it comes to staying on top of your homework. Decide how long you want to spend on something and then follow it through, otherwise you can end up going overboard on just one task. This is especially important when you're given a lot of homework at once. If you focus too long on one assignment, the others lose out. Try and be consistent with your timeframes because then you're not working hours on one task only to work 15 minutes on the next. It's understandable to set your homework aside when you have other chores and commitments to attend to but the best way to keep up your assignments is to get them out of the way as soon as you can. Don't wait until the night before to complete them. If you're really busy outside of the classroom, make sure you're making the most of the down time you get inside of school such as lunch breaks and study periods. The amount of work you complete during that time is just less work you'll have to complete later on. Find out when you're most switched on and where you feel most inspired, whether that's alone or with others, outdoors or indoors, morning or night. When it comes to studying, having a time and place that you can can rely on is really beneficial. Everybody's different so make sure you know what works best for you and you only. Hope this was helpful in some way! Thanks for reading!